As I've mentioned before-Michael is a big fan of variety. And he has a big appetite. So I often struggle with making enough food and enough different kinds of food to keep him satisfied. Which is why I was SO thrilled when I came up with this super simple dinner idea and he loved it! One of the best parts of this recipe is-in addition to the fact that you cook an entire dinner together in the oven-that you can completely customize the flavorings based upon preferences. I went a slightly spicy route using chili powder and paprika, but you could also do soy sauce and ginger, or garlic and herbs, etc. Also, you can switch out the veggies according to preference-I used broccoli but you could use whatever, or a combo of different vegetables. 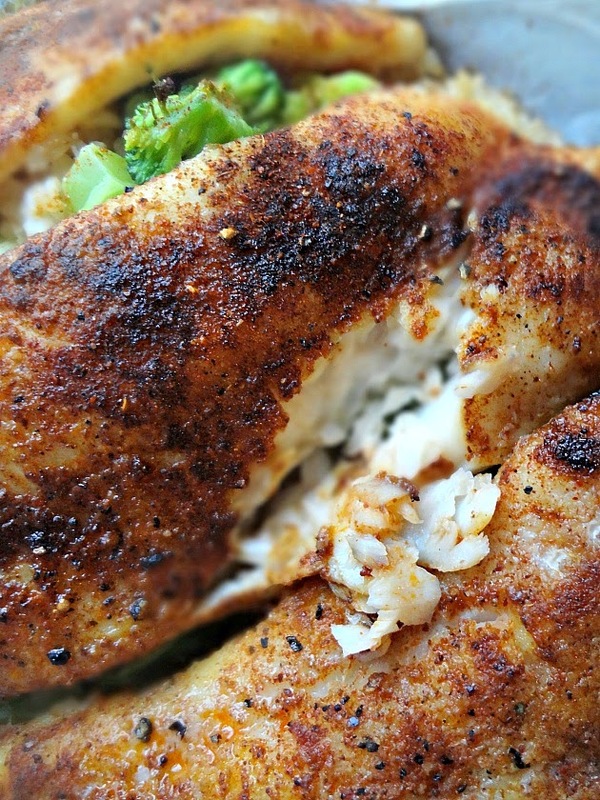 (Heck, you can even use chicken instead of fish!) And in the end you have flavorful rice, veggies, and fish all cooked up together. It's perfect. My solution to weeknight dinners for my hungry hungry hippo of a fiance' and I know it'll be a great option for your family too! 3 swai (or other variety of mild-flavored fish) fillets--about 1 lb. Seasonings to taste: onion powder, paprika, chili powder, salt, and pepper, soy sauce, etc. Preheat your oven to 350F degrees. Lay a sheet of parchment paper on a rimmed baking sheet. 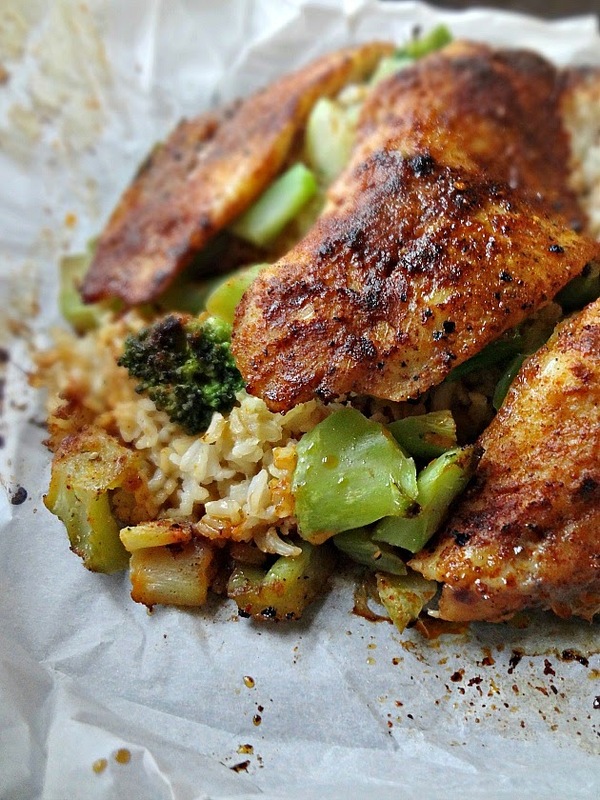 Lay the cooked rice in an even layer towards the center of the parchment paper. Place broccoli (or other vegetables) evenly over the rice. Lay the fish fillets on top of the vegetables and rice. Drizzle with oil. Season to personal preferences (be fairly generous to ensure that all elements are well seasoned). I used onion powder, paprika, chili powder, salt, and pepper-use whatever you prefer. Fold 2 opposite sides of parchment paper to the center and roll up the other sides to seal the entire thing into the parchment. 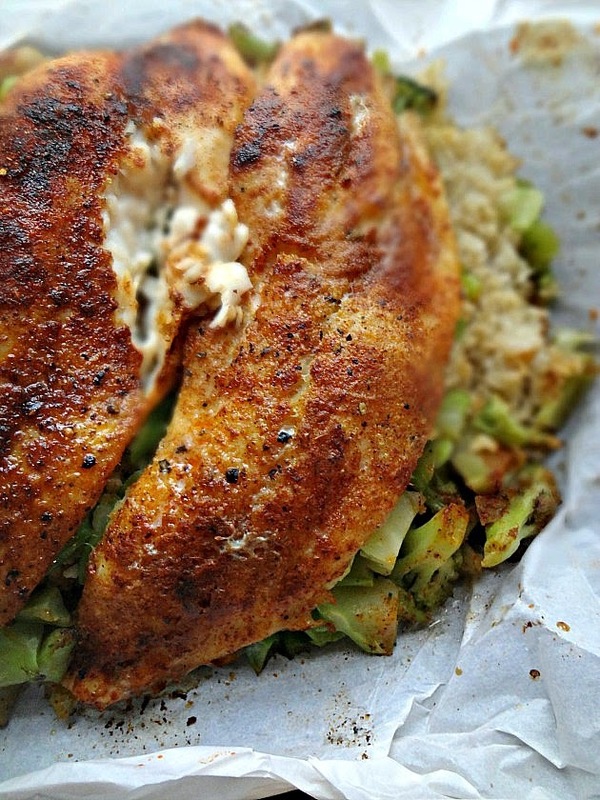 Bake for 50 minutes, until the fish is flaky and cooked through. Let cool a bit and serve! Store leftovers in an airtight container in the refrigerator for up to 4 days. I'm so proud of myself for this one.